NASA’s New Horizons unveils the shape of Ultima Thule as the larger lobe, nicknamed “Ultima,” more closely resembles a giant pancake and the smaller lobe, nicknamed “Thule,” is shaped like a dented walnut. NASA’s New Horizons spacecraft has beamed back new images of Ultima Thule, which show that the most distant world ever explored is much flatter than previously thought. 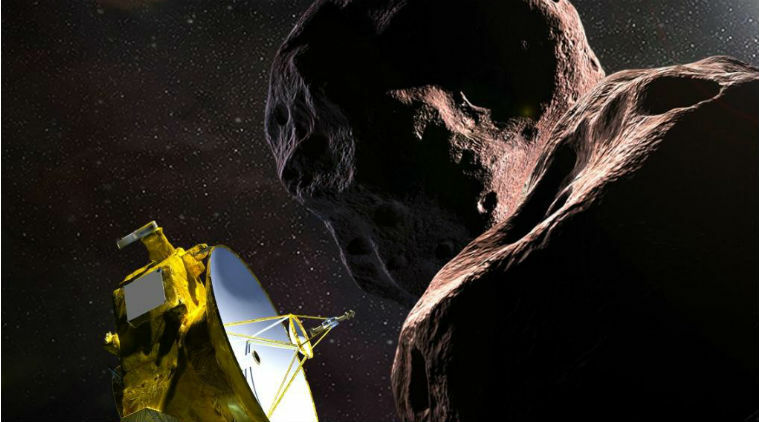 The images of the KBO — officially named 2014 MU69 — were captured by the New Horizons as it raced away at over 50,000 kilometers per hour on January 1. The images were taken nearly 10 minutes after New Horizons crossed its closest approach point. “This really is an incredible image sequence, taken by a spacecraft exploring a small world four billion miles away from Earth,” said mission principal investigator Alan Stern, of Southwest Research Institute in the US. “Nothing quite like this has ever been captured in imagery,” said Stern. However, more analysis of approach images and these new departure images have changed that view, in part by revealing an outline of the portion of the KBO that was not illuminated by the Sun, but could be “traced out” as it blocked the view to background stars.